Do I need to be an Associate to use or sell IITTI exam? No. Associateship is purely a volunteering, advocacy role. Do I need to be an Associate to offer IITTI training? No. Non-associates can offer IITTI training too. Do I need permission before I offer IITTI training? No. You don't need approval before you offer IITTI training. Can I have exclusive rights to my country? No. IITTI is an open standard, and is for everybody. 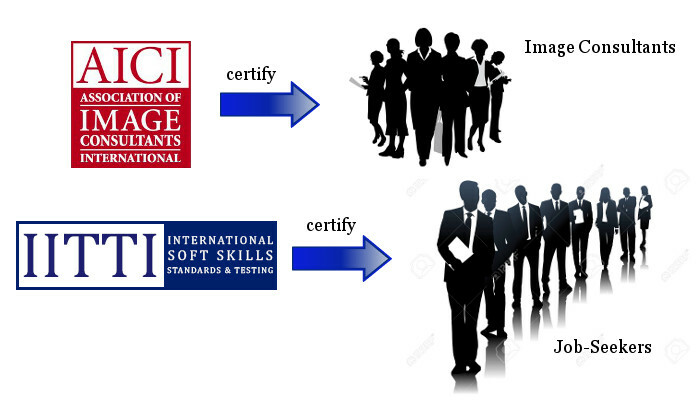 Starting 2018, all trainers in Greater China (mainland China, Hong Kong, Macau, Taiwan) and starting 2019, all trainers in Malaysia, Thailand, and the Philippines need to be licensed by the International Soft Skills Trainer Accreditation (www.ISSTA.ca) . How does IITTI certificate differ from an AICI certificate, a London Image Institute certificate or an Academy of Image Mastery (AIM) certificate? 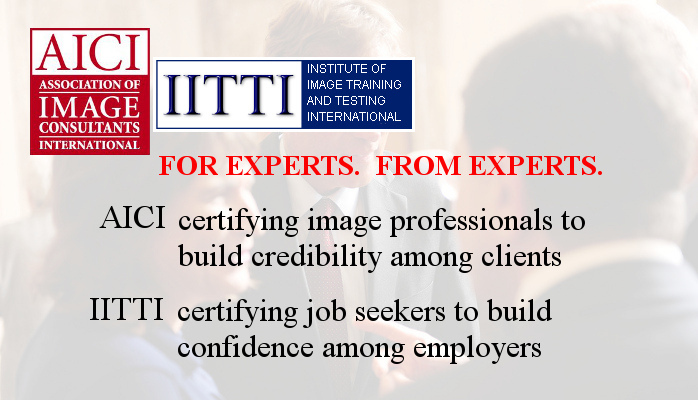 IITTI certifies job-seekers and corporate workers, while AICI, London Image Institute and AIM certificates are examples for certifying image consultants. What can IITTI do for me? It depends if you are an image consultant, corporate trainer or university faculty. Details under What can IITTI do for you?. Why advocating IITTI is good for me? Do something bigger than each of us individually. Details under Why advocating IITTI is good for you. How to introduce IITTI in 30 seconds? It depends on who you are speaking to. Details under IITTI in 30 seconds. Does IITTI train image consultants or business etiquette trainers? IITTI doesn't do training; it is just an exam. We don't train the trainer, or the general public. The only thing we do is the IITTI exams for your clients. To find schools that train-the-trainer, check under Resources. What are the steps for me to use IITTI? Get the IITTI Standards and Guidelines document. Build your own training curriculum, or get Train-the-Trainer (TTT) help. Contact Patrick Chun at IITTI (pchun@IITTI.org) for your permanent special link. How do I do marketing for my business using IITTI?